Can the addition of an expression pedal turn an EQ-filtering overdrive into some kind of secret analogue multi-effects unit? 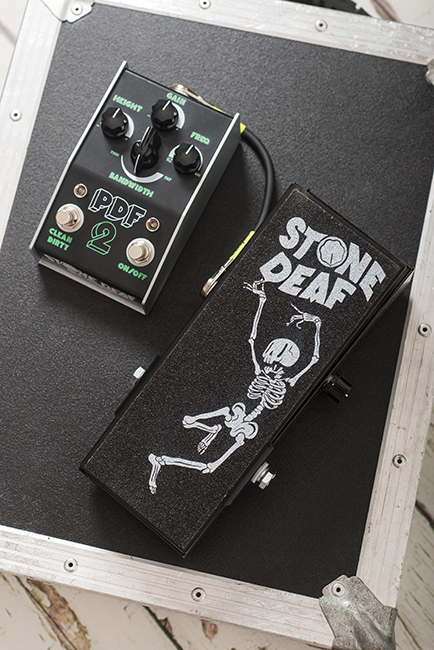 Well spotted, Inspector Plectrum – we have already reviewed the Stone Deaf PDF-2, back in 2016. But it’s come back, like one of those cats that goes missing for two years then suddenly appears in the kitchen… and it’s brought a friend. 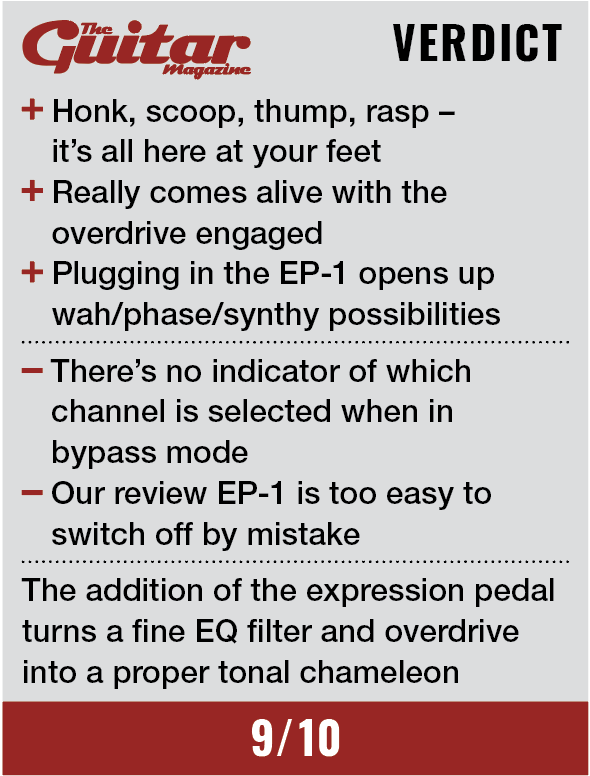 Expression pedals can add flexibility to all sorts of stompboxes, but the active EP-1 turns this EQ, boost and overdrive tool into a whole different kind of device. You’re using your foot to manipulate a frequency control that can be heavily filtered – and that brings wah and phaser effects into the picture. Inspired by the Maestro MPF-1, the PDF-2 combines tone-sculpting with lashings of gain. Frequency and height controls let you choose which part of the tonal spectrum to cut or boost, and by how much, while the five-way bandwidth dial changes the focus of the filtering, and therefore how extreme it sounds. There’s a gain control, active only when you’ve stomped on the left-hand footswitch to engage ‘dirty’ mode, and it runs all the way from warm crunch to fuzzy sonic mayhem. Both units are metal-clad slabs of old-fashioned British engineering, and the EP-1 even has adjustable treadle bolts so you can tweak the resistance of the rocking action. It’s amazing how much fun you can have with a one-band parametric EQ – and that goes for double when it’s as good as this. Any slice of the spectrum can be emphasised at will, and with bandwidth set narrow you can twiddle your way through every flavour of the ‘cocked wah’ effect. Hi-fi mid-scooping is just as easily achieved, while at full bandwidth the PDF-2 offers something close to a full-frequency clean boost. So far, so useful… but if you wanted ‘useful’ you’d be reading Practical Grouting. So let’s stomp on the dirty channel, because this is where the truly great stuff lives. The overdrive itself is thick and smooth, but it’s in combination with the EQ filtering that it opens up all manner of new rock voices: thudding sludge power, woody mid-gain clonk, snarling punk grind… it’s an almost infinite palette, and you can see why Josh Homme’s a fan. How the EP-1 feeds into all of this depends on where you set the height control. At minimum the mids are hollowed out for something like a manual phaser effect, while nearer the top of the dial the boosted frequencies leap out to create some classic (and some weirdly synth-like) wah tones. But in truth the EP-1 is arguably at its best when you don’t use it too much. Rhythmic rocking is fine, but subtly creeping through the range is even more effective for creating fresh and dynamic sonic textures.